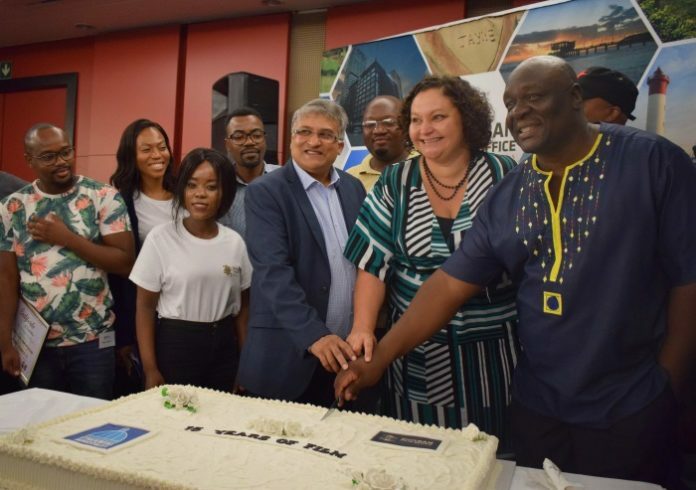 This year marks the 15-year anniversary of the establishment of the Durban Film Office (DFO), the eThekwini Municipality’s film industry development unit. To reflect on this important milestone, as well as report back on its achievements to date and to share its strategic vision and insights from consultations with local film industry representatives, the DFO hosted a stakeholder engagement at the ICC on 20 March. Over the years, the DFO and DFM have also formed strong partnerships with “sister city” festivals in Nantes (3 Continent Festival) and the International Film Festival of Rotterdam; festivals and markets such as Berlinale, Hotdocs Canada, Caribbean Tales Canada, Sundance Film Festival (USA) and the International Documentary Festival of Amsterdam (Netherlands); and funding and investment agencies such as the National Film and Video Foundation, Westgro and Department of Trade and Industry. Going forward, Monty explained that the DFM has upcoming relations with the Motion Picture Association, and – in 2018 – a Memorandum of Understanding was signed between the DFO and the KZN Film Commission to ensure good intergovernmental cooperation and programme synergies. Durban has also played host to many film productions that have gone on either to be box-office hits, or else snapped up for the international festival circuit, providing enabling environments for filmmakers to network and develop relationships globally. Successful films made in the city include Izulu Lami, Otello Burning, Keeping up with the Kandasamys (with a sequel about to be launched this year), White Wedding, the Spud series, More Than Just a Game and Deep End, which is currently on circuit in 26 cinemas around the country.